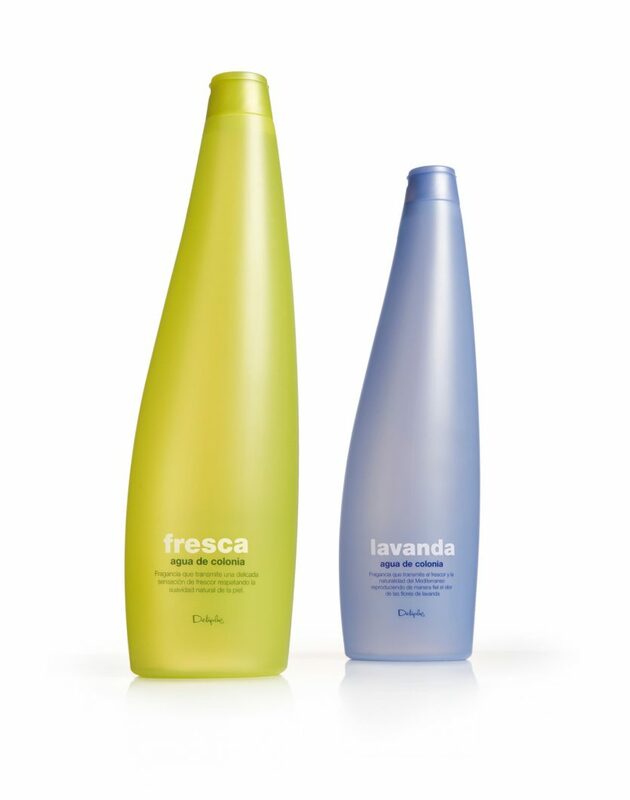 Bottles and graphics for two mass-market colognes distributed by Mercadona stores nationwide. The bottles (750ml) are made out of coloured translucent plastic. A modern design with an air of sophistication.